My goal was weight loss! I entered this contest with hopes to help me lose some of the weight I gained after having my daughter. 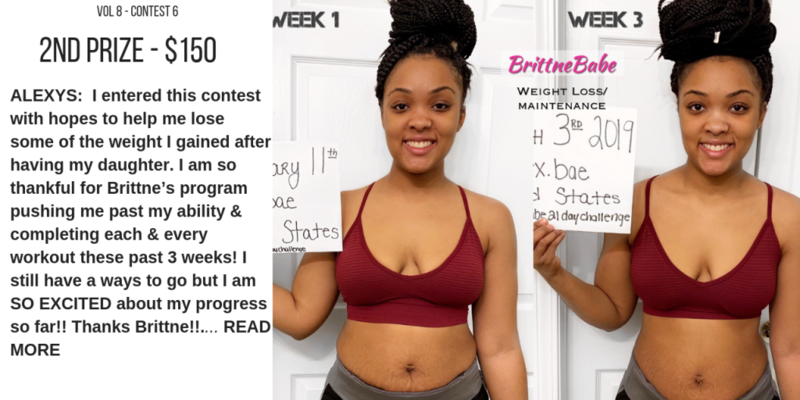 I am so thankful for Brittne’s program pushing me past my ability & completing each & every workout these past 3 weeks! I still have a ways to go but I am SO EXCITED about my progress so far!! Thanks Brittne! !